Smartly observed and wonderfully romantic, Kasie West's talent shines in this tale of one girl's unexpected quest to find love...and possibly herself. When Gia Montgomery's boyfriend, Bradley, dumps her in the parking lot of her high school prom, she has to think fast. After all, she'd been telling her friends about him for months now. This was supposed to be the night she proved he existed. So when she sees a cute guy waiting to pick up his sister, she enlists his help. 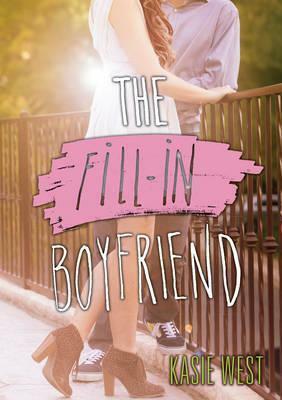 The task is simple: be her fill-in boyfriend--two hours, zero commitment, a few white lies. After that, she can win back the real Bradley. The problem is that days after prom, it's not the real Bradley she's thinking about but the stand-in. The one whose name she doesn't even know. But tracking him down doesn't mean they're done faking a relationship. Gia owes him a favor, and his sister intends to see that he collects: his ex-girlfriend's graduation party--three hours, zero commitment, a few white lies. Just when Gia begins to wonder if she could turn her fake boyfriend into a real one, Bradley comes waltzing back into her life, exposing her lie, and threatening to destroy her friendships and her newfound relationship.